What could be better than beating the Giants? 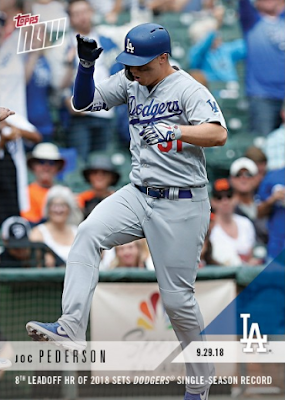 The Los Angeles Dodgers secured a postseason spot with a 10-6 victory over the San Francisco Giants. 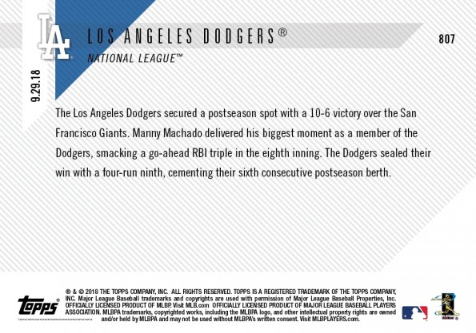 Manny Machado delivered his biggest moment as a member of the Dodgers, smacking a go-ahead triple in the eighth inning. The Dodgers sealed their win with a four-run ninth, cementing their sixth consecutive postseason berth. 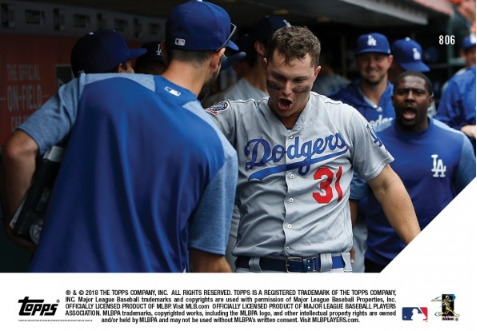 Helping the Dodgers to victory was leadoff man Joc Pederson who cranked his eighth leadoff home run for the dodgers this season -- setting a new Dodgers single-season record. 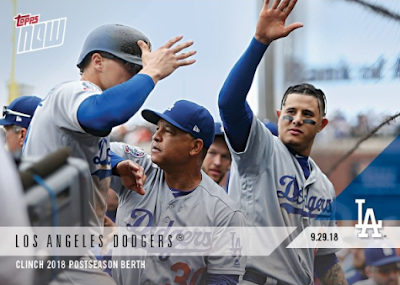 He got his own 2018 Topps Now card to call his own. Go here to check it out and order.